Poetry month concluded with a great initiative by Mrs. Rolfes! 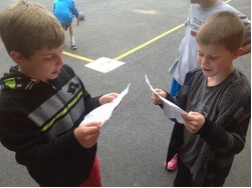 Students were asked to copy or create a poem, and have it on them during the specified day. Support staff such as myself then were armed with raffle tickets, and randomly asked students if they had poems in their pockets. If they did, and read them, they earned a raffle ticket. Raffle tickets were then turned into Mrs. Rolfes, and a drawing was held for highly sought after prizes! Here are two students whose poem they shared with me was a “Thrift Shop” parody. Awesome! Despite the raffle being drawn and over with, I had dozens of students for days afterwards approaching me to read their poems. 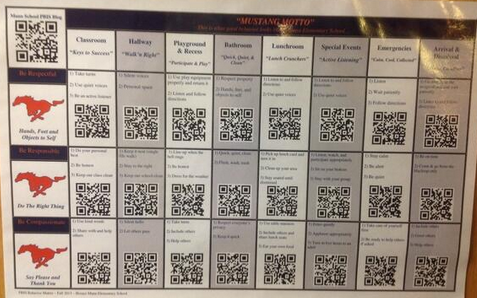 Great job inspiring creativity and pride in our kids, Mann staff! One of many of Ms. Garcia’s annual all-school hits, ACES was a good time had by all. Thank you, Ms. Garcia! 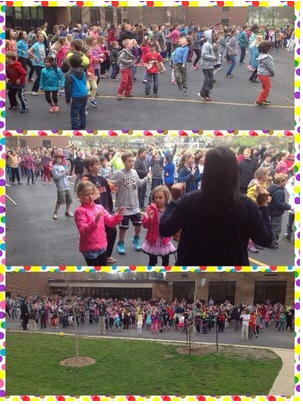 Here are a few snapshots of her organization and hard work to get 514 kids and 62 staff members exercising (dancing) simultaneously..
Mann School 4th and 2nd graders have been working on water conservation projects. 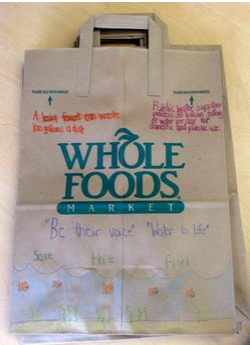 They partnered with Whole Foods to design bags, and on Earth Day customers received these bags as part of their shopping experience. Way to go!